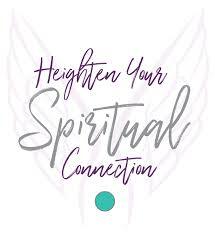 How do you connect (give and receive information) in the realms of intuition, innovation and inspiration? I have been playing lately with increasing my access on demand to subtler “ways of knowing.” Here is what I have found most effective. I would so enjoy hearing from you and what tips you have to offer. Find quiet space and time free of distractions (easier done in my outer environment than my own chattering mind sometimes)! Focus on a few deep breaths in and out. Scan your body from head to toe with your mind, breathing into and relaxing any places that feel constricted. Place your attention in your heart space, your Center Within. Here I invite you to remember a person or circumstance for which you are grateful. Invite a question or concern to come to mind (I usually contemplate this before I begin my process). What do you want to know? What information would you like to receive that is in your highest and greatest good? Explore, be curious, interact, and play in the experience. Remain in gratitude with the intention the experience will be for your highest good. Allow the information to integrate without reducing it to an immediate action step or framing it as something you already know. No second guessing. Learn to trust the knowing without diminishing it, avoiding it, or clinging to it. Let the guidance and wisdom “soak into your being” and inform you at an energetic level. Allow the full potential of the message to unfold in your awareness. I find sometimes knowing comes instantaneously. It appears through non-local resonance of the morphic field as the science of entanglement demonstrates. To me this feels like reciprocating awareness. 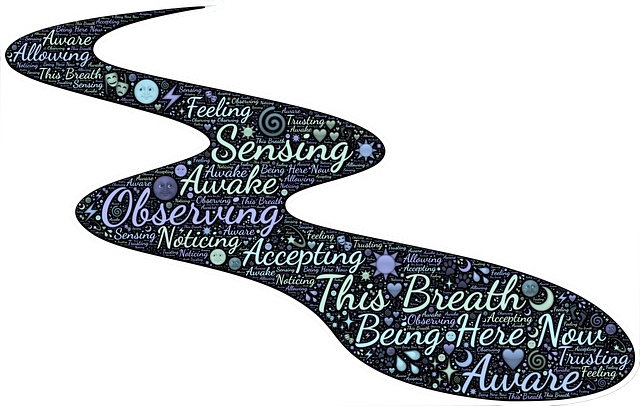 Other times insights come as I go about my day, continuing to notice subtle information arising in my awareness. Recently in my life, I have been receiving feedback in “multiple ways” it is time to create on line courses and offer more in-depth spiritual teachings. WOW! The information and invitations have come at me in a dozen ways, some seemingly “out of nowhere”! As the barriers between dimensions continue to become more porous, there is easier access to information on multiple dimensions in the “here and now”. What new energy and knowledge are you accessing? How are you embodying this wisdom for your self and the greater good of all? Be in touch! Community and coaching can be amazing support and encouragement. As my book Living From the Center Within discusses, we all bring in new paradigms and structures as we “co-create who we are becoming”. Music by Therapeutic Harpist Tami Briggs from her CD “The Healing Journey” Track 8: I Know Where I am Going. Tami’s music promotes relaxation and invites healing. Check out Tami and her offerings HERE. Michelle, this email was important for me. I scanned it a few days ago knowing I needed to read it. So I read it before my meditation time today. For whatever reason/s, it really clicked. I got info very clearly and better than before. Your step by step process is soooo good. The gratitude piece was a real key to my heart knowing. I’ve had all the steps but not together so I think what you wrote is an important recipe to access intuition. I’ve very grateful for this step by step process including the let it soak into your being. Had to tell you thank you!!! PS I know Lora, as you know, so your video was fun too. And I’ll be taking a class from Nancy Clairmont Carr on healing ancestry. And I am recommending your book to a woman who has a book store for people in recovery in Seattle.